If you're all about relaxed dressing when it comes to fashion, you'll love this cool combination of a dark green bomber jacket and a Pringle of scotland lion scarf. 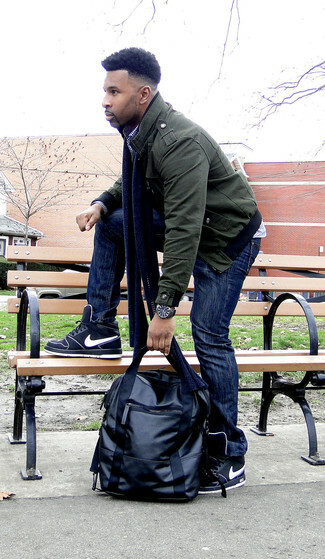 Kick up the cool of your look by completing it with black high top sneakers. 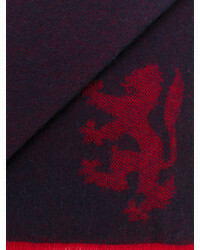 We're all seeking comfort when it comes to dressing up, and this combination of a grey wool blazer and a Pringle of scotland lion scarf is a perfect example of that. 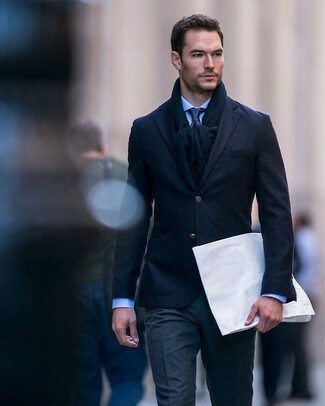 We all look for comfort when it comes to dressing up, and this combination of a navy wool blazer and a navy scarf is an amazing example of that. 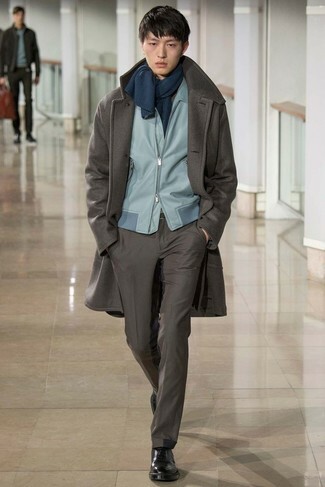 Consider pairing a navy trenchcoat with a Pringle of scotland lion scarf for comfort dressing from head to toe. 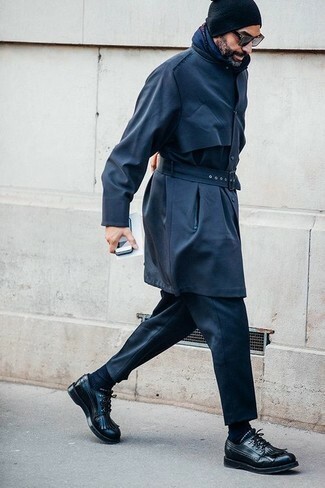 Lift up your outfit with black leather derby shoes. 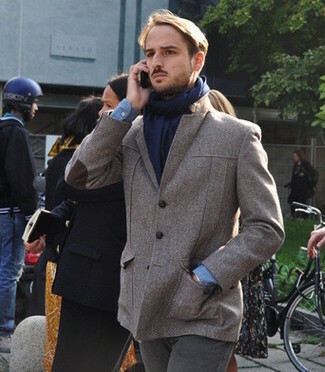 If you prefer functionality dressing when it comes to your personal style, you'll love this stylish pairing of a brown wool blazer and a navy scarf. 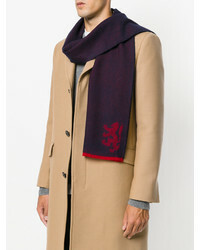 If you're all about practicality dressing when it comes to your personal style, you'll love this simple pairing of a dark brown overcoat and a Pringle of scotland lion scarf. Take a classic approach with the footwear and choose a pair of black leather derby shoes. 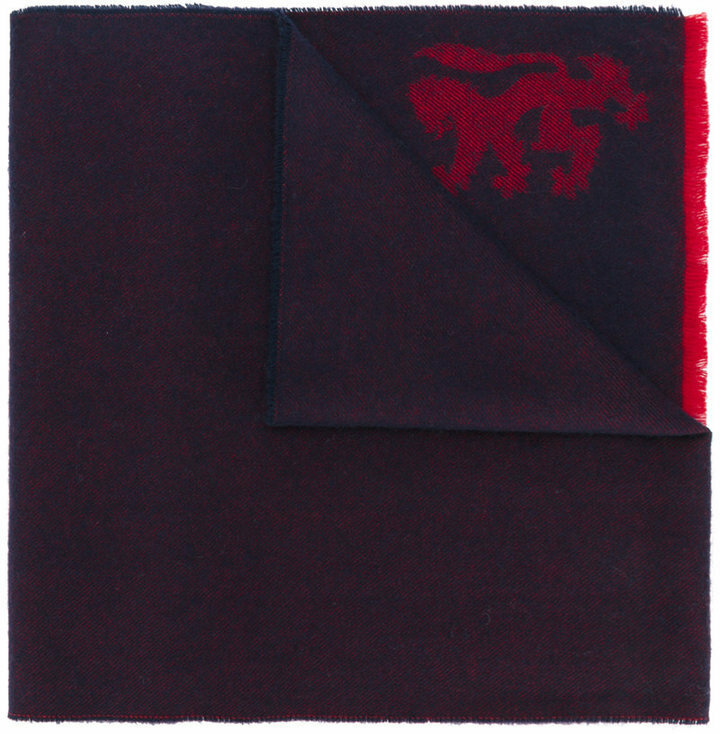 If you're all about being comfortable when it comes to picking out an outfit, this combination of a red and navy plaid pea coat and a Pringle of scotland lion scarf is what you need. 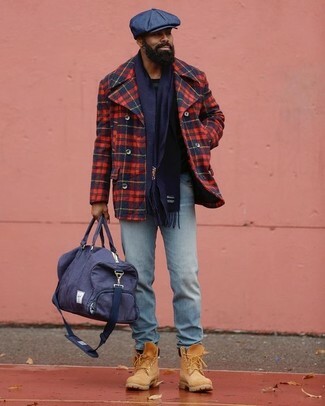 When it comes to footwear, this look is round off perfectly with tan suede work boots. 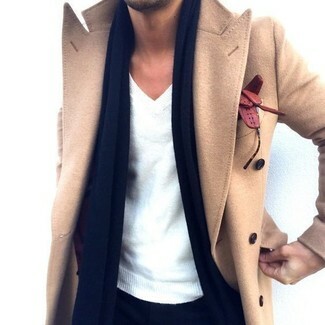 Consider wearing a navy overcoat and a navy scarf, if you want to dress for comfort without looking like you don't care. 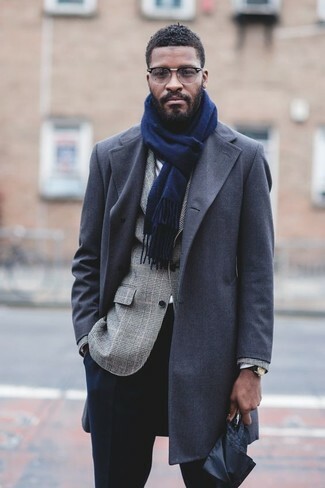 If you prefer practicality dressing when it comes to your personal style, you'll love this simple combo of a camel overcoat and a navy scarf.